October was outrage month, as the Starbucks tax scandal stole the headlines, and the energy companies continued to turn the screw on hard-pressed consumers. There was more bad news from the high street, the housing market and from the banks. However, one man revealed that he had beat the system - earning a payout from a PPI claims company. In October we learned the shocking news that the world's second biggest coffee chain had paid no UK income tax in the last three years. 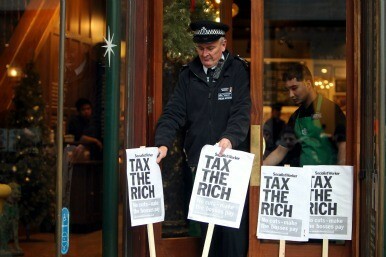 Starbucks has 735 outlets in the UK, which have racked up £1.2 billion in sales over that time, but managed to avoid being required to pay income tax because it didn't make a profit over that period. It emerged over the following weeks that internal accounting meant that profits were eaten up in charges that Starbucks made to itself, saving it from paying UK corporation tax. The ensuing outcry, however, persuaded the firm to rethink its approach. Elsewhere on the high street the news was just as alarming. Figures revealed that retailers in the UK closed 32 stores a day in July and August, up from 20 a day in the first six months of 2012. The experts blamed the slump in consumer confidence and dangerously high business rates - neither of which show any signs of changing soon. 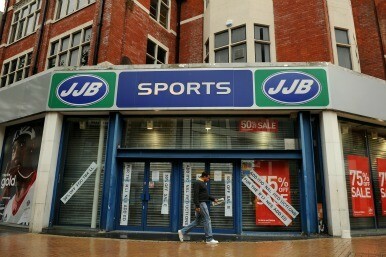 Meanwhile, the administrators dealing with the demise of JJB Sports revealed that 133 stores would close and 2,200 staff made redundant: only 20 stores would be sold on to Sports Direct. The banks faced bad news too. NatWest suspended its Get Cash app, which allows customers to get hold of cash from ATMs. There was speculation as to whether this was because of a number of frauds which had taken place using the tool. At the time, the bank explained that the service had been temporarily withdrawn as part of a planned update. It was only a couple of days later that it admitted that the service had been withdrawn because of fraud concerns, and blamed an increase in phishing attacks. Energy companies heaped woe upon woe on us, with a number of them announcing price increases this month. British Gas put an extra £80 on to its typical annual dual fuel bill. 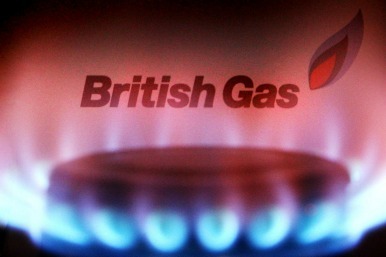 Rival npower followed with an average rise of 8.8% for gas and 9.1% for electricity. This was followed later in the month by EDF energy announcing 10.8% price rises, meaning its typical dual-fuel bill for a direct debit customer will rise by £122 to £1,251 a year. David Cameron tried to reassure troubled voters, by announcing that energy firms would be forced to give customers the cheapest available tariff under new legislation. It would mean the energy company would have to tell you if you could switch to a cheaper deal with them. Unfortunately this simply raised concerns that energy companies would axe their best deals entirely - as they would no longer have an incentive to provide anything cutting edge, because all their customers would simply switch to it. It wasn't all doom and gloom, however. A three-bed semi in Stockton-on-Tees near Middlesborough was put up for auction with a starting price of £750 and the title of 'the world's cheapest house'. 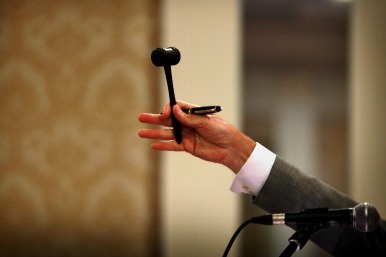 However, when the hammer came down, it had defied all expectations, fetching £14,000. You could argue that the media hype helped push the price well past the usual level for this kind of property in this area - but it was a sign that even in a depressed market, there was some hope for sellers. For anyone who has ever been frustrated beyond their tolerance levels by cold calls from PPI Claims companies, there was an uplifting story: of the man who beat them at their own game. Richard Herman, a 53-year-old business owner from Sunbury on Thames, was sick of one particular firm calling. He told the representative that from that moment onwards he would be charging the company £10 a minute for his wasted time, and recording the calls as proof. The company called again - for 19 and a half minutes - so he issued an invoice for £195. After it remained unpaid after 30 days, he took the company to the small claims court, and the company agreed to pay him. So even in a dark month, there were a few rays of sunshine.